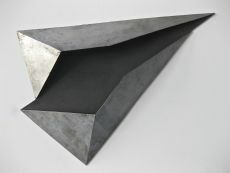 Gabriël Barlag (1958) is a contemporary artist who makes geometrical sculptures composed of metal. 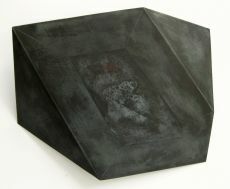 He was born in Amsterdam and studied at the Gerrit Rietveld Academie between 1980 and 1985. 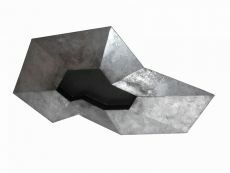 His work has been shown in numerous cities across the Netherlands, including Amersfoort, Amsterdam, Groningen, Den Haag, Haarlem, Leeuwarden and Zwolle. 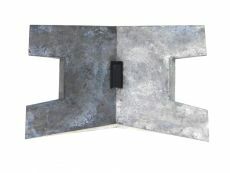 He also exhibited abroad, including Germany, England... Read moreGabriël Barlag (1958) is a contemporary artist who makes geometrical sculptures composed of metal. 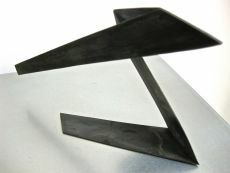 He was born in Amsterdam and studied at the Gerrit Rietveld Academie between 1980 and 1985. His work has been shown in numerous cities across the Netherlands, including Amersfoort, Amsterdam, Groningen, Den Haag, Haarlem, Leeuwarden and Zwolle. He also exhibited abroad, including Germany, England and Switzerland. 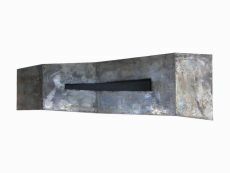 His work has been represented at various art fairs amongst others, Kunst Rai 1999, Art Amsterdam 2009, Affordable Art Fair 2010. Barlag lives and works in Amsterdam.